Polo is an amazing game and here at the club we have a great social scene too. We have quiet ponies and HPA qualified instructors to teach you all that you need to know to start Polo. 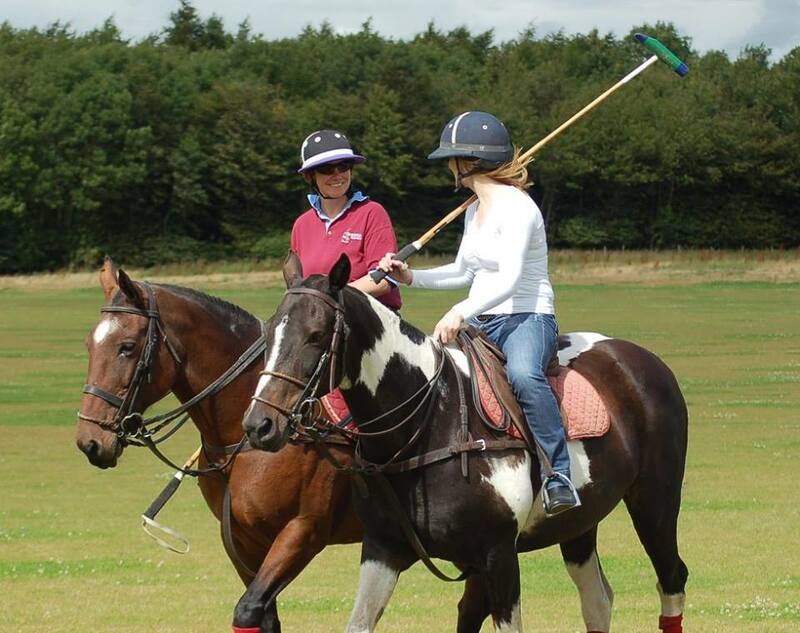 It doesn't matter whether you have never sat on a horse before or are experienced we can help you learn Polo. 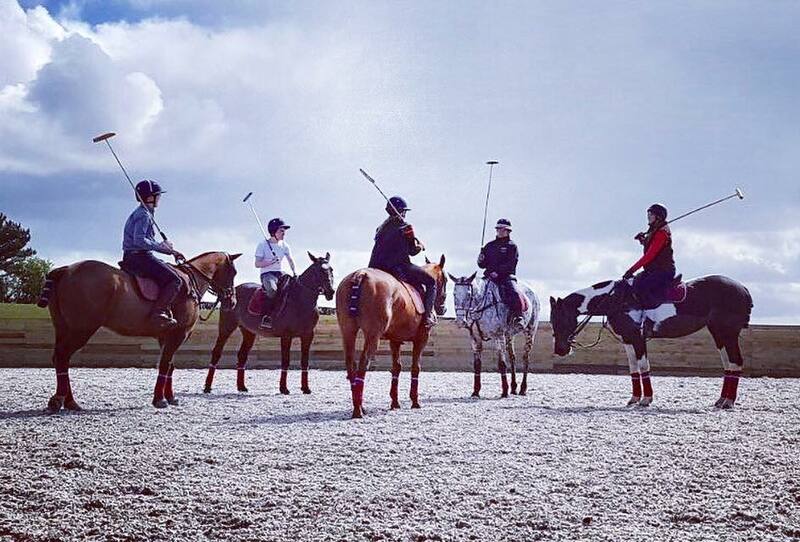 We will soon get you playing chukkas and discovering the thrill of Polo and you don’t need your own pony to play as we have sensible ponies to hire. Get started today by clicking on the links below. “ Had a fabulous lesson at the club. Honestly didn't know what to expect but both our instructor and horses were fabulous and incredibly patient! Learnt loads, had a super time and would love to go back to play again and just watch some chukkas one Sunday. Thank you!" "Had a polo lesson as I was looking to do something 'different'! Certainly not disappointed! Amazing location just outside Edinburgh over looking the Forth rail and road bridges. Karina is patient and explains things well - even if you have never ridden before. Game itself is exhilarating and loads of fun - and very challenging! Definitely give it a go if you chance!"